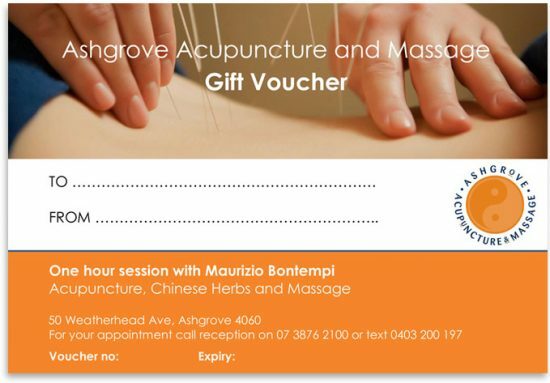 A gift voucher is a beautiful way to express your caring intentions to family and friends. When you buy a Gift Voucher, 50% of the voucher’s value will be donated to PICCA (see below). Your caring intention for your family and friends also helping the disadvantaged communities. How to buy a Gift Voucher and what happens next. Fill out the form below, with the name of the person you are giving the voucher to and the value of the voucher (1 hour or 90 minutes appointment). I will provide you with a gift voucher number. Pay by credit card (over the phone) or by Paypal or direct debit. I will forward you the relevant details for your chosen payment method. I will complete, and send you the gift voucher, which will have a 3 months expiry date from the purchase date. The voucher can be printed and posted, or sent via email. I will then forward you a copy of the donation to PICCA. Health funds rebate. When your nominated person uses the Gift Voucher she/he will be given the choice to claim private health fund rebates if he/she wishes to do so. If approved, the health fund benefit will be credited to the Gift Voucher recipient to use for her/his next session within three months. PICCA is an Australian not-for-profit organisation that partners with people in communities overseas to deliver development projects which break the cycle of poverty and dependence. Access to resources to progress equity, opportunity, justice and peace in their community. A combination of funding and (if appropriate) practical expertise to facilitate more independence. Assistance in addressing the root causes of issues. Support for the priority issues that local communities have themselves identified. Support for leaders within local communities. Respect as an equal partner. 100% of your donation goes to development projects. Projects are carefully chosen to make a real, measurable difference in local communities. You help suggest and choose projects. There are regular social events with like-minded people to share and learn together about international development. You know exactly how your donation is being used, and receive regular progress reports. If appropriate for the community and project, you may be able to contribute practical skills (e.g. medical, health, infrastructure, agriculture, education).